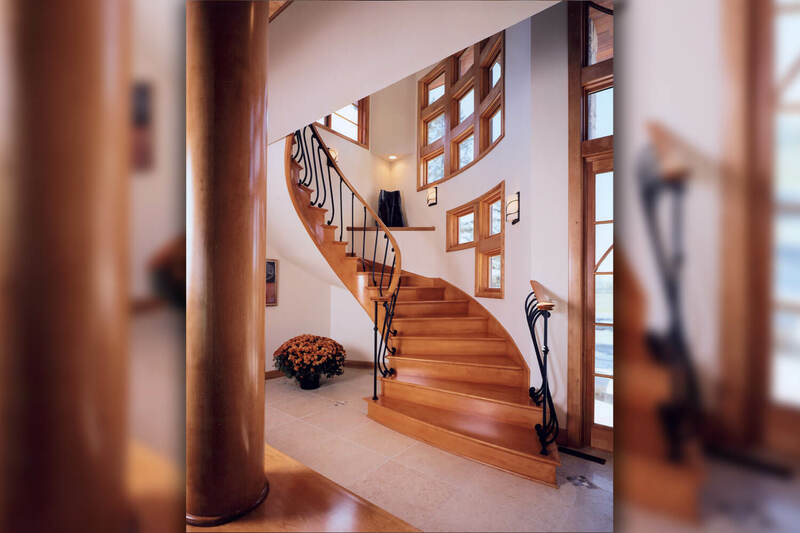 Open curved staircase with curved metal balusters and wood handrail. Tile floor throughout and oversized round wood columns at entrance. Boxed windows at stairs allowing natural light in.